In plugging his holiday standup mini-tour, T.J. Miller shared a behind-the scenes image from the set of Deadpool to Twitter. The images features himself and with Ryan Reynolds. 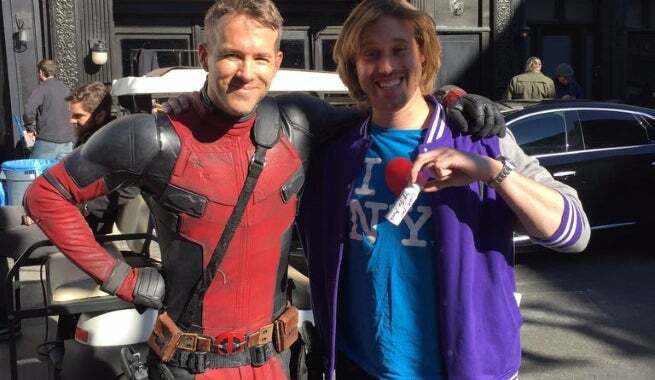 Reynolds is clearly in costume as Deadpool, and we’re going to guess that the outfit Miller is wearing belong to his character, Weasel, rather than being his own. Based upon Marvel Comics’ most unconventional anti-hero, Deadopool tells the origin story of former Special Forces operative turned mercenary Wade Wilson, who after being subjected to a rogue experiment that leaves him with accelerated healing powers, adopts the alter ego Deadpool. Armed with his new abilities and a dark, twisted sense of humor, Deadpool hunts down the man who nearly destroyed his life. Check out when Deapdool and other movies are coming out in ComicBook.com's Movie Release Schedule.